Installment #3: Tying The Knot. As a writer, I ponder not just words and how to string them together into some sort of interesting and entertaining tale, but the meanings behind certain common words and phrases. I’m in the beginning stages of planning an August wedding and in keeping with that theme, my thoughts have turned to “Tying The Knot”. Some sources say the expression came to us from the ancient Roman Empire where the girdle of the Bride was bound into place with many knots by her attendants. It was the task of the Groom to untie those knots on the wedding night so the union could be consummated. Celtic Pagans have long referred to their wedding ceremony as a Handfasting in which the right hands would be fastened, or ‘fasted’ together in some way. Another origin suggests that soldiers and sailors who spent a lot of time out to sea and of which a majority were illiterate at the time, would send a piece of twine to their intended as a way of proposal. Should the lady return the string tied in a knot, the answer was ‘yes’. In Hindu traditions, the Bride and Groom would tie a necklace of flowers together to finalize the marriage. From The Codex Mendoza of 1434, we find an image titled Aztec Marriage Couple depicting a man and woman seated on a mat. The Bride is powdered with yellow earth and adorned with red feathers. The wedding, which took place in the Groom’s home, was finalized by the couple having their wedding garments literally tied together. Circa 1225 in The Legend of St. Katherine the word ‘cnotte’ was used to mean the bond of matrimony. “Swa ye cnotte is icnut bituhhen unc tweien.” roughly translated to mean, “As we are fastened and tied together, so the knot is knitted between us two.” Actual knots have been used in wedding ceremonies for centuries with the tying of the wrists of the Bride and Groom with the use of twine and sashes. Sometimes the sash or twine is merely wrapped and draped over the wrists. Other times a lose knot is created. According to The Encyclopedia of Superstitions by E. & M.A. Radford, in the 17th century there was the tradition of placing pieces of knotted ribbon, always blue, to the Bride’s gown. These were sewn in place with a single stitch and the lucky reception guest who was able to get one of these ribbons would then wear them for good luck. T. May wrote in The Heir in 1620, “The happy knot you tie, Concludes in love two houses’ enmity”. This was followed by “You meane to tye the knot, nothing but Death is able to vundoe.” in 1621 by J. Shirley. Even Shakespeare used the metaphor in his famous play, Romeo and Juliet. “Send for the Count. Go tell him this. I’ll have this knot knit up tomorrow morning.” In other words, there’s going to be a wedding in the morning. In 1717, the English poet, Matthew Prior used the phrase, “So to the priest their case they tell: He ties the knot.” in his poem Alma: or, The Progress of the Mind. Clearly, the symbolism of knot tying to represent a strong bond or unbreakable pledge has had a place in history and folklore for centuries and spans many cultures. From illiterate sailors to the wealthy Rothchild family, tying the knot stretches not just through the years, but across the classes. This, to me, shows the power and deep meaning of what true love and a marriage should be all about. When you tie something into a knot, you want it to remain in place. You want it to be strong. You want it to last. 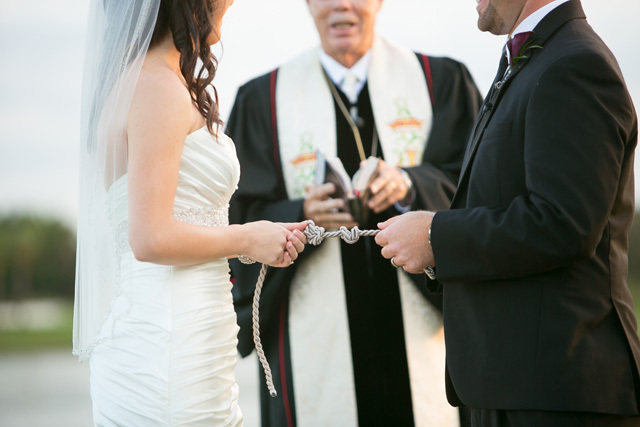 Knots are powerful symbols indeed, and what better symbol to use when making a vow that’s intended to last a lifetime? Installment #2: As Easy As Pie. As a writer, I ponder not just words and how to string them together into some sort of interesting and entertaining tale, but the meanings behind certain common words and phrases. Last week I posted the first installment where we learned all about hogwash. This week it’s going to be much more appetizing! I’ve made pies in the past. I watched my grandmothers make pies. I’ve watched my mother make pies. I even helped my ex-hubby salvage a pie crust once. For all these reasons, I buy pre-made pie crust. Pie isn’t easy! Making a good crust is hard. Making sure the filling is right is hard, too, especially apples! God! How many apple pies have you bitten into only to find the apples aren’t cooked all the way, or the filling is so wet and sloppy it’s more like filling and crust soup than a nicely intact, wedge-shaped serving of deliciousness? No, pie making is not easy, so what’s up with that whole nonsense of something being as ‘easy as pie’? There are a couple of ideas on where the phrase originated. There are those that speculate it came from the Maori term ‘pai’ which means ‘good’ and wasn’t popular until the 1920s, however, much earlier examples exist. The phrase, “You’re always as polite as pie to them.” was used by Mark Twain in The Adventures of Huckleberry Finn. Two years later, in 1887, The Newport Mercury, a Rhode Island newspaper, used the phrase we are most familiar with today. “You see veuever I goes I takes away mit me a silverspoon or a knife or somethings, an’ I gets two or three dollars for them. It’s easy as pie. Vy don’t you try it?” The 1910 Zane Grey novel, The Young Forester also included the phrase, “as easy as pie” as did a 1913 Saturday Evening Post article. None of this really explains why or how something is ‘as easy as pie’ when pie-making itself can be difficult. The answer comes from the earliest example we have from an 1866 article in Sporting Life magazine, “As for stealing second and third, it’s like eating pie.” As it turns out, the phrase has nothing whatsoever to do with MAKING the pie, but the enjoyment and ease involved in EATING the pie. This same meaning is applied to something being ‘a piece of cake’. It’s not the creation of the cake, but the consuming that we enjoy and find easy to do. As sweets, pies and cakes also became synonymous with people, things, or experiences being the same way, sweet, pleasant, and nice to be around. 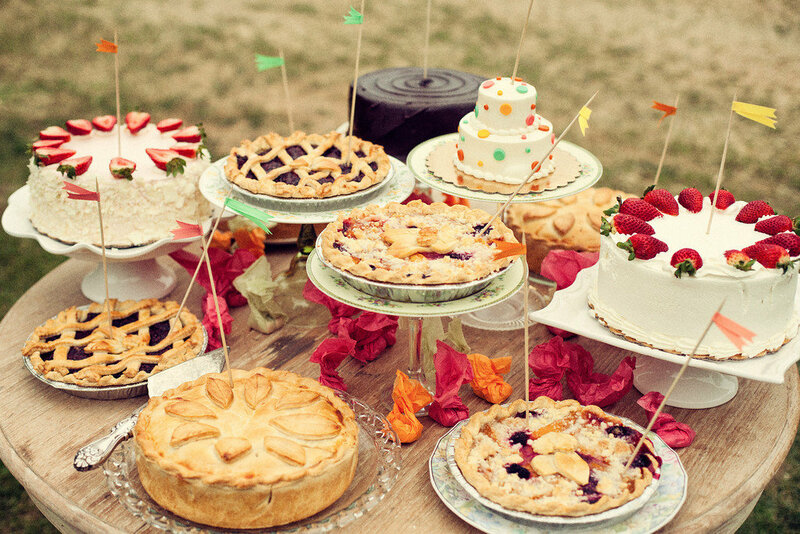 Other 19th Century American phrases such as “It’s a cake walk.”, “That takes the cake.”, and “They’re reaching for their pie in the sky.”, all refer to these confections as something pleasant, easy to do, or something we will get as a reward. And now you know why we say that. Our first installment is the word, “Hogwash”. No, sorry, nothing to do with the actual washing of pigs or those motorcycles known as Hogs. But, what is hogwash and why would someone find amusement pouring it over another’s head? There are three early variations on what substance is being referred to as hogwash. In the mid-15th century, a definition can be found that states hogwash is a compound noun formed by two nouns. The first word, hog, refers to a type of swine, a pig. Easy enough to understand. Wash, in this instance, has to specifically do with cleaning up a kitchen. A wash was the waste liquid and food left over from making and serving a meal, the leftovers that were not fit for human consumption. 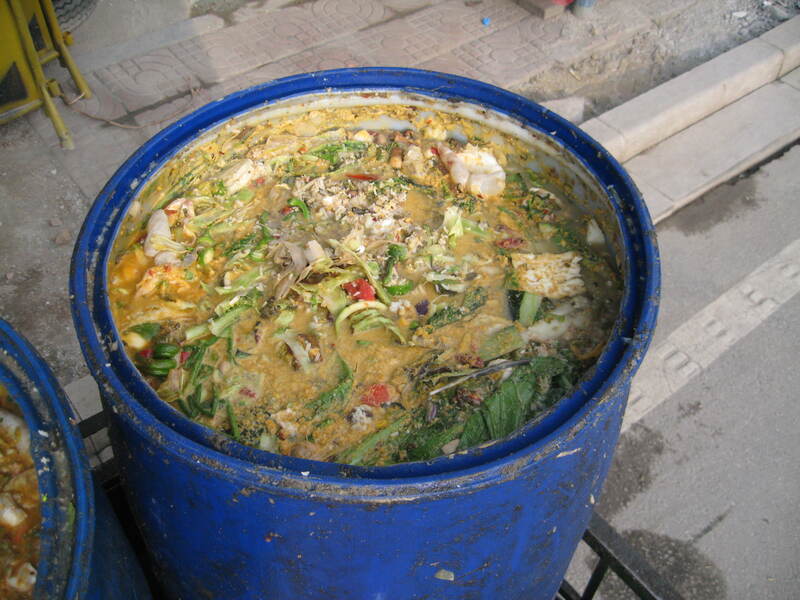 This concoction was all dumped together and used to feed all manner of domestic animals, most commonly, pigs. By 1712 another meaning was added to the term. A cheap, poorly made liquor was often referred to as hogwash. Poorly written documents and manuscripts were labeled as hogwash around 1773. In modern English, if something is said to be hogwash it means it should be tossed away. It’s useless or of little value, illogical, badly done, ridiculous, and invalid. Simply put, it has as much value to the human race as that savory barnyard slop that gets tossed to the pigs at the end of the day.